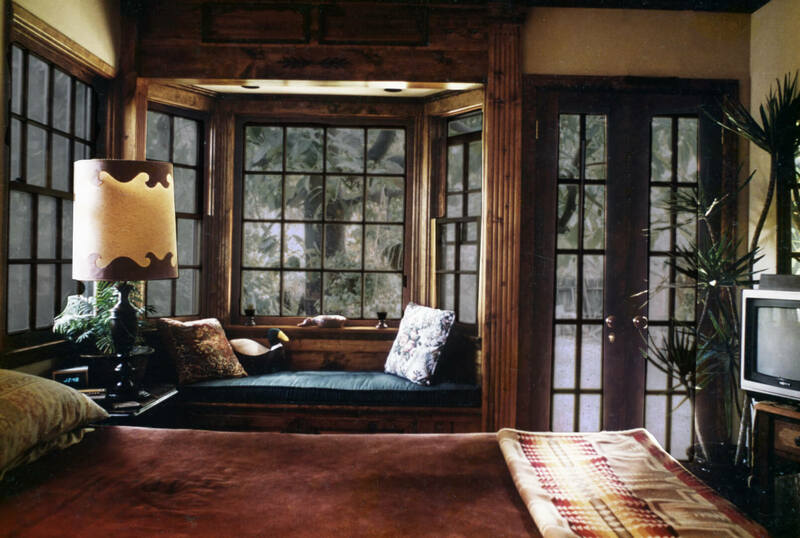 The bedroom of my bungalow in Laurel Canyon cried out for a bay window and French doors, so over a period of several months, as time allowed, it became a reality. The large, producing avocado tree in the backyard provided a beautiful, cooling canopy of green that was always calming. The windows could be opened to create a cross-breeze on warm summer nights. The window seat was the best place to watch the entertainment put on by the squirrels in the avocado tree. They loved to pick the fruit, take one bite and drop the remainder on the dog(s) below.